Come as a guest - leave as a friend. Enjoy the friendly atmosphere with the professional service at Hotel Uhland in Windhoek. Excellent value for money ... Our stay at Hotel Pension met every expectation we had. 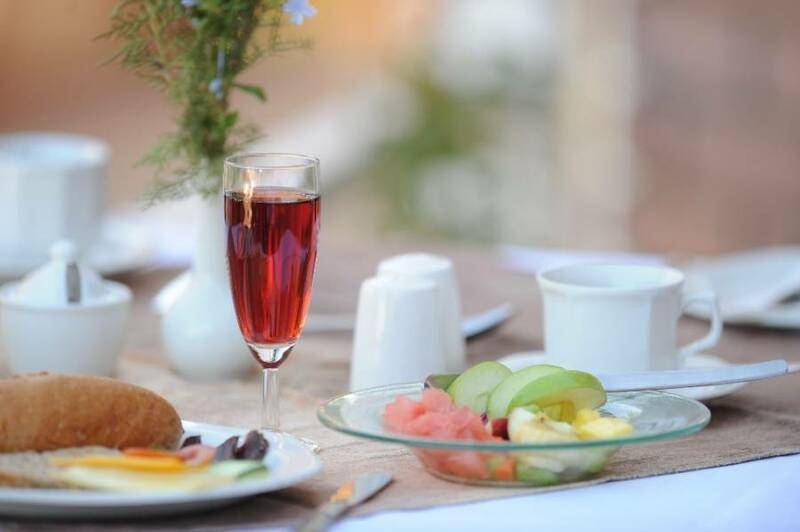 Friendly staff, clean and well equipped rooms and a most delicious breakfast. I'll recommend everyone to make use of theses facilities. 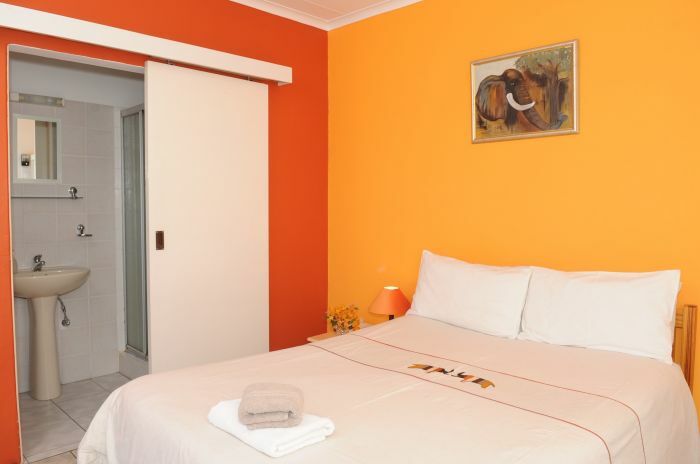 At Hotel Pension Uhland in Windhoek you will find clean, light and nice non-smoking rooms with en-suite bathroom, Minibar, TV, Telephone and free Wireless LAN (WiFi). 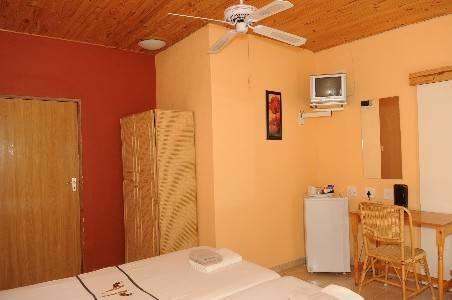 Superior rooms with airconditioning/heater, some with balcony. 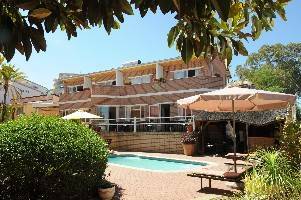 Relax at the cosy bar beside the pool after an exciting day in Namibias Capital. We offer separate Internet Access and Wireless LAN (WiFi) free of charge. Your car stays safely in our yard. All the non-smoking rooms have en-suite bathrooms and are equipped with TV, Minibar, Ceiling Fan, Kettle, Telephone and have access to wireless LAN (free of charge). 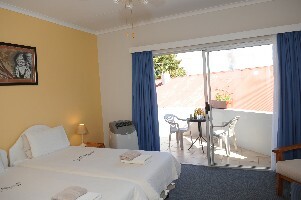 The superior rooms offer air conditioning and some balcony. 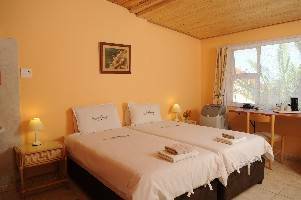 15 Minutes walking distance to the city centre of Windhoek, Hotel Uhland lies in a quiet area. Airport Pickup possible on request - charges apply. City centre of Windhoek about 15 minutes walking distance. Cancellation of up to 2 rooms free of charge until 7 days before arrival. For more than 2 rooms our group arrangements will apply. Stay on the main road until you come to „Klein Windhoek“. At the 2. traffic light turn right into „Nelson Mandela Avenue“. Follow the Nelson Mandela Avenue until „Metje Street“ (first traffic light after the Puma Station), turn left. At the next junction turn right into „Uhland Street“. Follow Uhlandstreet over the hill, about 300m downhill you will find Hotel Uhland on your left hand side (Uhlandstrasse 147). Take the exit “Windhoek North – Katutura”, turn left into Independence Avenue. Drive straight over the huge crossroad, stay straight over the roundabout on to Robert Mugabe Street. From the roundabout it is about 2, 5 km, then you will see the large green/beige building from NamPower on your right, there you turn left into Uhlandstreet. At the next corner you will find Hotel Uhland on your righthand side (Uhland Street 147). At the first really huge crossroad, turn right into Mandume Ndemufayo Street (indicated city centre). Stay on this road, until the street turns right (in front of Windhoek Station). Next traffic light you turn left into Independence Avenue. Drive straight over Goethe Street and Robert Mugabe Street. At the next corner, you will find Hotel Uhland on your right hand side. (Uhlandstreet 147). Transfers from and to the Bus Station or Airport can be arranged on request.